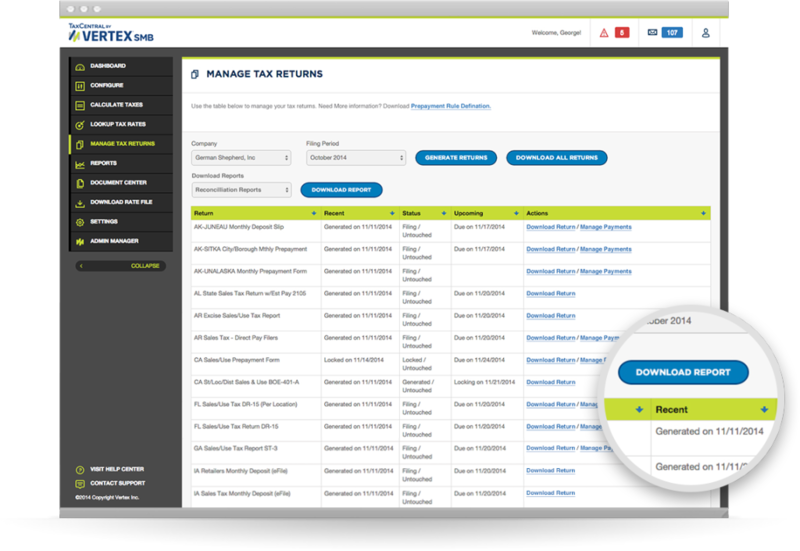 Everything your business needs to manage sales and use tax – and pay only for what you use. It’s that simple. As the market leader for tax technology, we can help you streamline tax calculation, increase accuracy, and stay compliant, keeping you on top of tax rate updates. 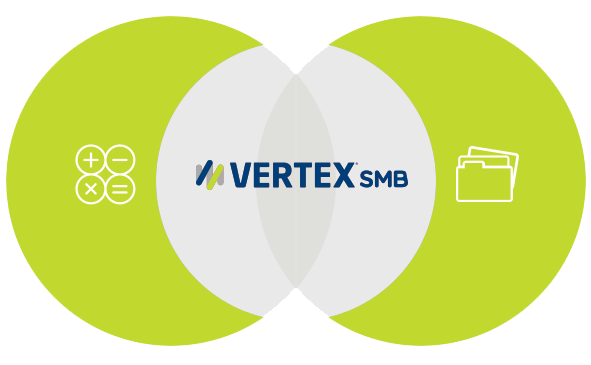 Vertex SMB also integrates directly with industry-leading mid-market ERP systems and ecommerce platforms such as Magento, NetSuite, Sage 100, Sage 300, and QuickBooks. Vertex SMB ensures that your calculations are based on accurate rates and rules. We continually update to keep you current and compliant. You can be assured that your returns are accurate and on time for every jurisdiction, every time. Integrate directly with Vertex SMB from industry-leading mid-market ERP systems and ecommerce platforms. Calculate accurate sales and use tax for all of your shopping cart and ecommerce transactions with Vertex SMB for Magento. Gain complete business process support from order entry through invoicing – even get tax calculations at the quote level with Vertex SMB for NetSuite. Provides access to self-service tools that support order entry to invoicing processes for your business with Vertex SMB for Sage 100. Automate your financial management and business operations from one comprehensive business management solution using all native screens with Vertex SMB for Sage 300. Now the power of Vertex SMB is within reach of companies that use Intuit QuickBooks. Watch this Vertex SMB webinar to discover why using a sales and use tax automation solution can save time, ensure compliance, and reduce the risk of audit. Contact a Vertex SMB expert, get support, or request a demo below.